Are you seeking a really challenging puzzle? Look no further than Krypt Gold! The unique, hand-crafted, puzzle tool is based around a spiral design, so expect to find some interesting shapes which will add to the challenge. 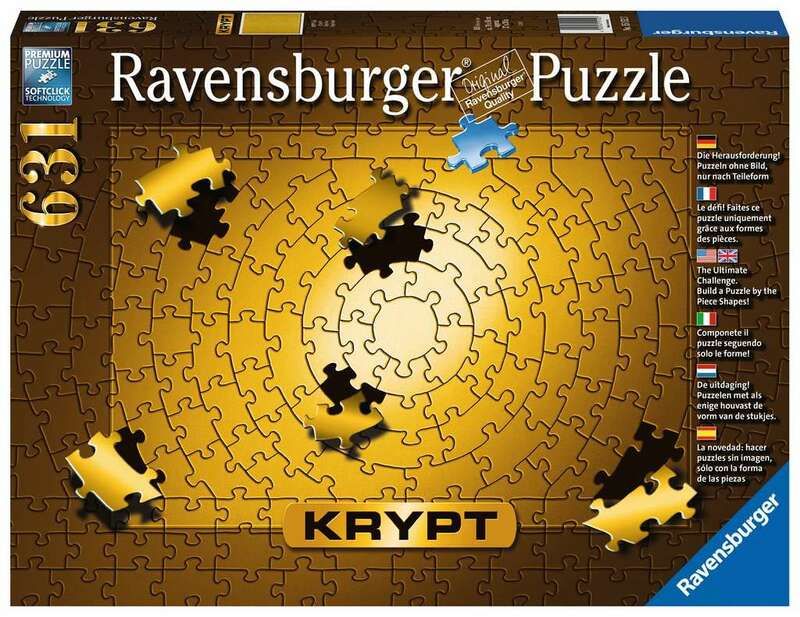 And there is no design on the puzzle itself … just a simple gold finish on high quality linen finish print. This ultimate jigsaw challenge can be enjoyed alone, with friends or family and would make a fantastic gift. High quality 2 x 500 piece cardboard jigsaw puzzles. The finished puzzles measures 59 x 36 cm when complete. Suitable for ages 10 years and up. Made from strong premium grade cardboard, with linen finish print to minimise glare on puzzle image.